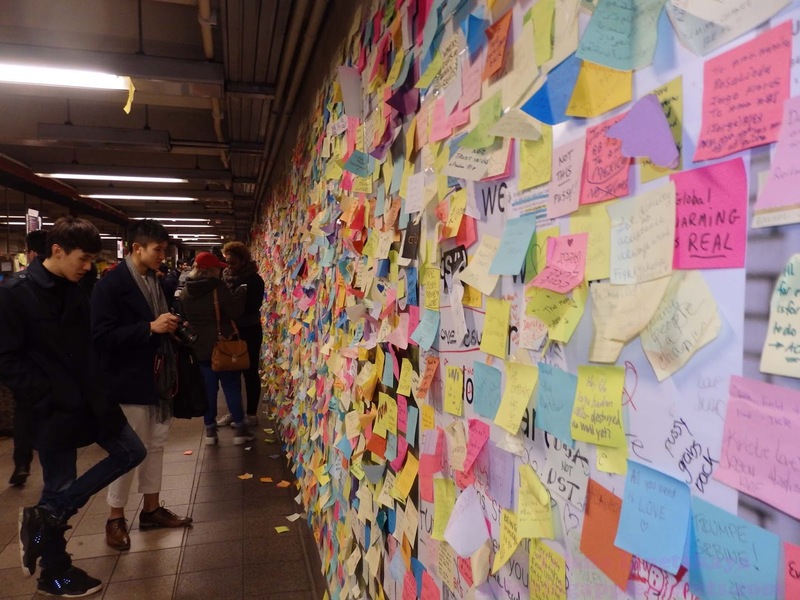 New York has a new attraction (I'm not sure that 'attraction' is a right word for this). 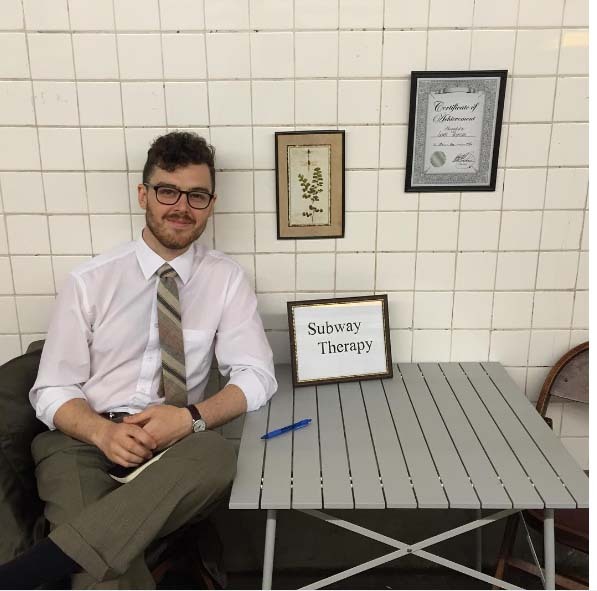 Subway Therapy originated about 9 months ago, when Matthew Chavez, 28, a voiceover artist and bartender from Brooklyn, realized that some people’s inability to express thoughts and feelings left them in pain. So he created the space, as he said, for people to release their anxieties.
" Nine months ago, I sat with a book that people could write their secrets in, and I had a little sign that said Secret Keeper. More often than not, people would just talk to me instead of writing something down. It got pretty common to hear, "I feel so much better! This is great... like therapy." 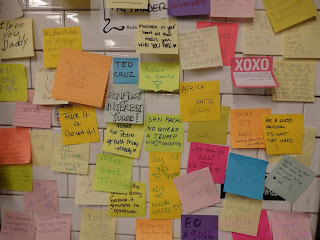 I heard it enough that it stuck and six months ago, Subway Therapy was born. 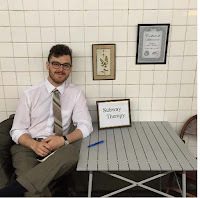 So Matthew set up a table and chairs on a subway platform at 14th St station. 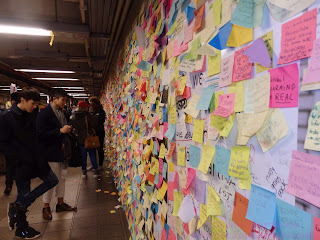 He set up the wall each day and took it down each night. 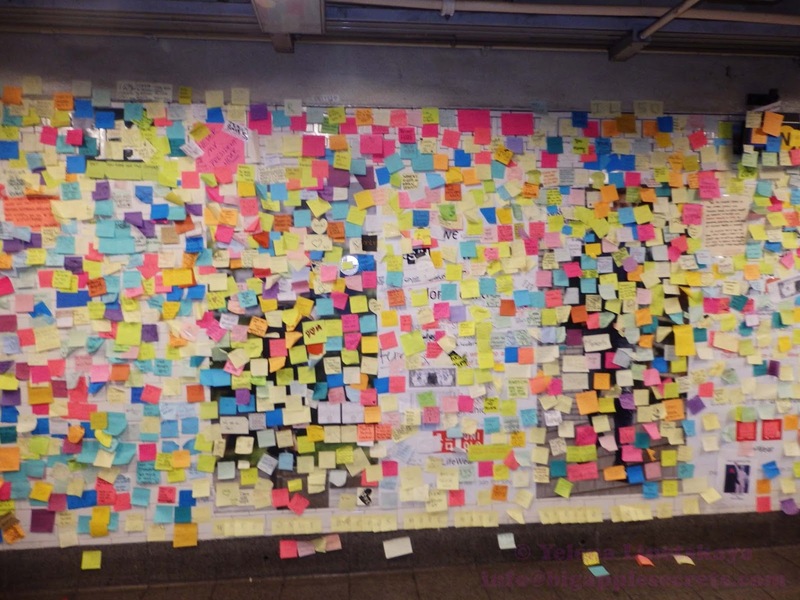 where, he says, “I’d talk to anyone that needed to talk to someone,” and so it continued. Thousands of notes have took over the walls of the 14th Street–Sixth Ave subway station immediately after election and it continues to grow. 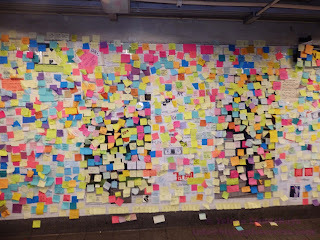 Even Governor Andrew posted a sticky of his own that read this: "New York State holds the torch high!" 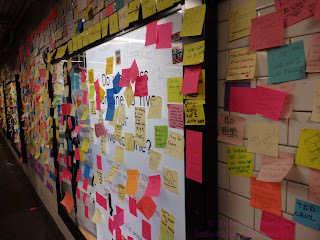 - Andrew C.
And now , similar post-it confession walls are beginning to make their way into other subway stations and even another cities. The organizers of the similar campaign, called “Subway Therapy Boston,” are asking subway riders to write encouraging thoughts on sticky notes and leave them on the wall of an MBTA station.